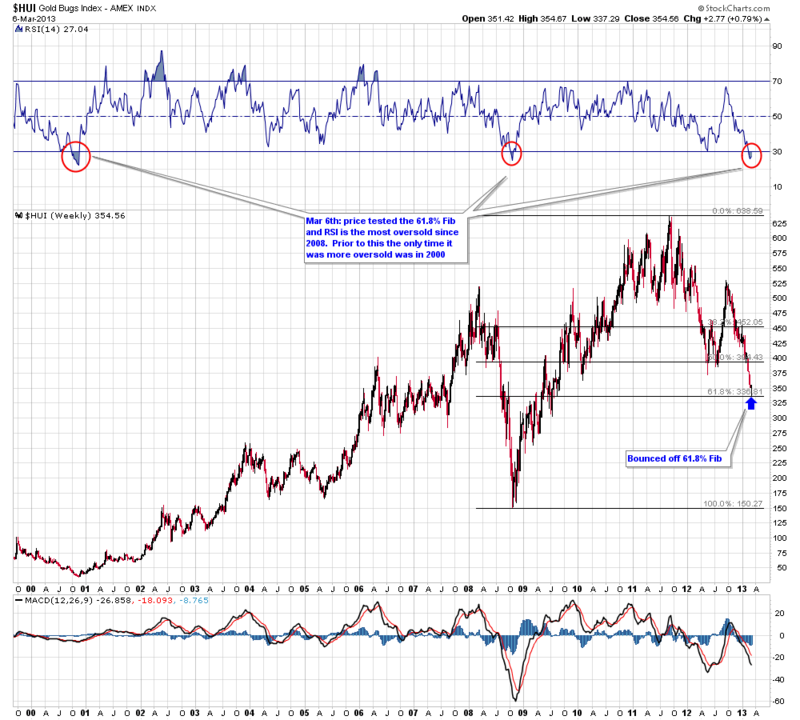 Here's a weekly chart of the HUI gold bugs index, first off notice that price tested the 61.8% Fib. Also take a look at the weekly 14 length RSI, it is the most oversold since 2008. Prior to this the only time it was more oversold was in 2000.